Inspired by the ever evolving street taco trend in Mexico, the makers of the HERDEZ® brand, Mexico’s No. 1 selling salsa, announced today the launch of four new HERDEZ® Taqueria Street Sauces. As an authentic Mexican brand that is Mexico’s No.1 salsa, HERDEZ®products bring bold flavors and authentic salsa types inspired by Mexico’s rich culinary culture. These sauces are unlike what a consumer might find on the shelf in the typical taco sauce section. They use real ingredients like fire roasted tomatoes and Poblano, Chile de arbol, fire-roasted Habanero and Chipotle peppers. They come in a range of heat and flavors for a truly customizable and authentic taco experience. 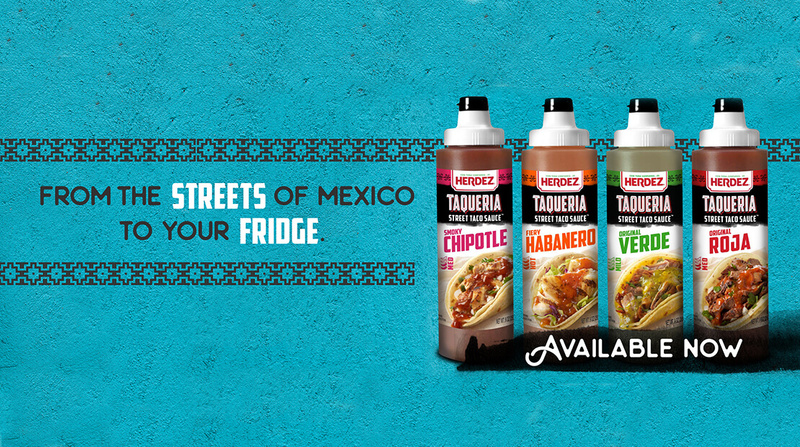 Available in stores nationwide, each HERDEZ® Taqueria Street Sauce comes in a 9 ounce plastic squeeze bottle and has a suggested retail price of $3.59 – $3.99. For more information check out https://www.herdeztraditions.com/. The HERDEZ® Brand has a rich history of delivering fresh, traditional and authentic Mexican flavors. It’s the No. 1 selling salsa brand in Mexico and a growing staple in homes across the United States. In addition to the Brand’s flagship product, HERDEZ® Salsa Casera, the product line includes additional favorites such as HERDEZ® Salsa Verde and HERDEZ® Guacamole Salsa. The HERDEZ® brand is owned by MegaMex Foods, a joint venture company between two giants in the food industry, Hormel Foods (NYSE: HRL) and Herdez desl Fuerte, S.A. de CV.